In 1936, shortly after his re-election, FDR had a strategy on how to deal with Supreme Court Judges who overturned aspects of his state-sovereignty-robbing New Deal legislation. Franklin Delano Roosevelt introduced legislation that would put in one of his appointed justices for every judge already on the bench who was over the age of 70. Thankfully, FDR’s plan was ultimately rejected. If you get nothing else from this article, I urge you to listen to FDR’s Fireside chat. 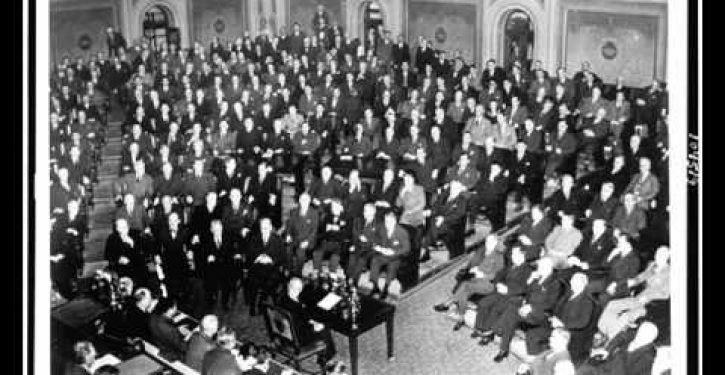 FDR failed, but Senate Majority Leader Harry Reid, by invoking the Nuclear Option last week, has succeeded in taking away the voice of the minority in the Senate, the voices that the people elected to represent them, paving the way for presidential appointees to get a swift confirmation, no matter how radical they are. And Republican leadership is silent. In 2005, the Democrats were loud. Very loud. Today, the Democrats want you to think that there is an “unprecedented” level of “obstructionism.” But there is no more “obstruction” now than there was during the Bush years, or during any other time in history. With the mainstream media’s full support, the Democrats are effectively pulling the wool over everyone’s eyes. What is different this time around is that the minority party is complicit in their silence. Read how Mark Levin responded to the GOP’s concern. It will make you cheer. How about news coverage in 2005 versus 2013? As the Republicans in the U.S. Senate consider invoking the “nuclear option” of prohibiting filibusters on judicial candidates, a bit of Senate history might be in order. 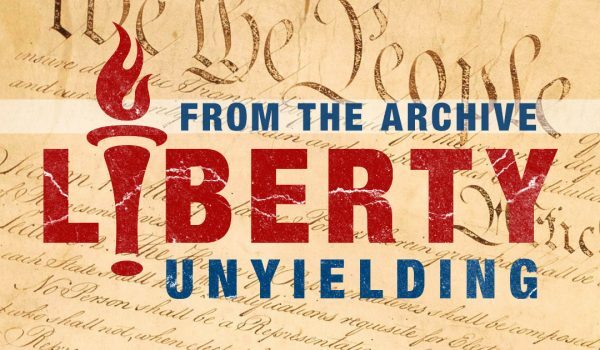 It shows that the arguments being marshaled against the filibuster are sheer sophistry….From the first days of the Senate, the principle of unlimited debate was the hallmark that set it apart from the House. Not spite. Checks and balances. Listen to FDR’s Fireside chat on his court-packing plan.